Phones down & Heads up! Distracted driving patrols are happening. When was the last time you touched your phone while driving? We won’t tell, but we will judge. Just kidding (mostly). Maybe you took a little peek at Instagram when you were at a red light. Or responded to your friend’s text with the perfect GIF. Or you just had to pick up your phone and answer it, because it was your BFF who lives outside the country and you guys haven’t talked for months and you haven’t had a chance to set up your Bluetooth. But it’s okay, just this one time because BFF > the law, and your own safety, oh and also the safety of others around you. Yea…nope! Is this thing on, and is our inherent Northwest passive aggressiveness coming through? We’re okay with you using your phone on the bus. Here’s where you can use your phone in transit. On the bus. You can sink into your own world. Just sit back, plug those headphones in, scroll away, and let someone else do the driving (ahem, transit for the win-win-win). 👀on the road, not on your📵. We’re guessing that you know it’s a major no-no to use a handheld phone while driving. 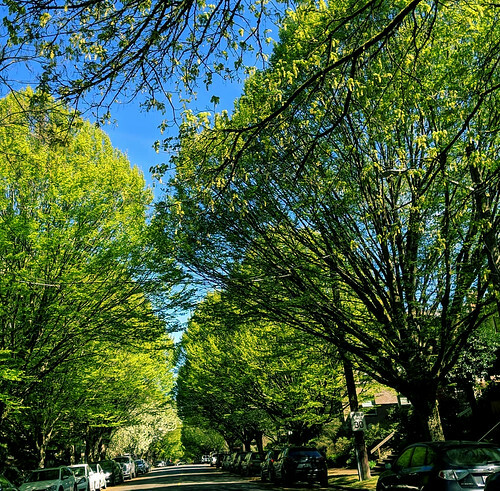 In July 2017, a new law passed in WA and full-fledged enforcement has been happening since early 2018. But this is behavior change. And change is hard, especially when it means detaching yourself from your tiny computer phone while you operate a machine, traveling anywhere from 20 – 65 MPH. And…we’re back with the passive aggressive. Consider this: drivers who text behind the wheel have a 23% higher chance of causing a crash – or the equivalent of downing four beers, then getting behind the wheel. Think about how crazy that is, yet how socially acceptable texting while driving has become. Study after study shows the extent to which people are addicted to their phones, even when behind the wheel. And Seattle isn’t immune. Distracted driving remains a top contributing factor to crashes on our streets since 2011, we’ve seen a 266% increase in injury collisions involving distraction. Put your phone down and pay attention. It’s as simple as that. For a complete rundown of what is and isn’t allowed via state law, head to wadrivetozero.com/distracted-driving/. You can’t say we didn’t warn you. April is National Distracted Driving Awareness month and as a part of statewide efforts, our partners at the Seattle Police Department will be out doing distracted driving emphasis patrols April 2 – 14. The first ticket (an E-DUI) will cost you $136. If you get a second E-DUI (within 5 years), it’ll cost you $234. All violations will be available to your insurance company, which could also cost you $$$ via higher premiums. If your phone has a “Do Not Disturb” while driving setting, enable it – Apple, Samsung, and other phones offer the feature (technology is trying to help us help ourselves). Join the It Can Wait movement. Looking for some creative ways to keep your phone out of reach while driving? Here are some of our faves. With your help, we can reduce distracted driving incidents and get closer to our Vision Zero goal of ending traffic deaths and serious injuries on city streets by 2030. Breakfast of (Commute Trip Reduction) Champions! 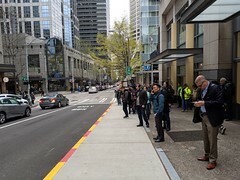 On March 7, together with Commute Seattle, we celebrated the efforts of employers participating in the city’s Commute Trip Reduction (CTR) program during the fourth annual Champions Celebration breakfast. The CTR program awards employers who demonstrate high engagement and innovative tactics in their transportation programs. 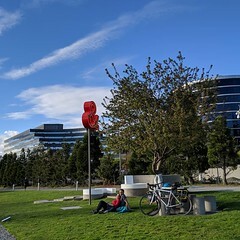 This year the city recognized 124 employers, including Google and The Seattle Times who received 👏“platinum level”👏 recognition – the City’s highest. 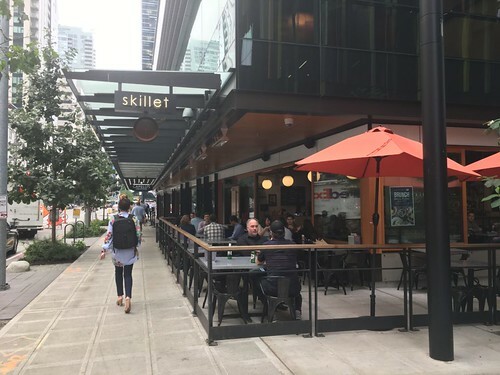 The theme of the event was “Performance and Innovation,” but the word of the day was “challenge.” It’s no secret that traffic and congestion in downtown Seattle have grown and will continue to present many challenges for commuters as the city expands. Keynote speaker Christine Gregoire, CEO of Challenge Seattle and Former Governor of Washington State and featured speaker Shefali Ranganathan, Deputy Mayor, City of Seattle both charged the attendees with taking these challenges head on through creativity, innovation, and perhaps most importantly, partnerships. Ranganathan acknowledged that Seattle has some work to do on traffic while asserting the City is “rewriting the playbook on how we get around” to support economic growth more sustainably. Just few weeks ago, SDOT and Commute Seattle announced the results of the most recent mode split report for Center City, showing a reduction in both the rate and estimated number of workers commuting via driving alone. Results show only 25% drive alone, with others turning at significantly higher numbers to transit and other non-drive alone options. The event also featured insightful case studies on CTR best practices by Karen Aliabadi, Chief Human Resources Strategist at Delta Dental of Washington, and Leya Barr, Senior Manager of Facilities at Impinj. 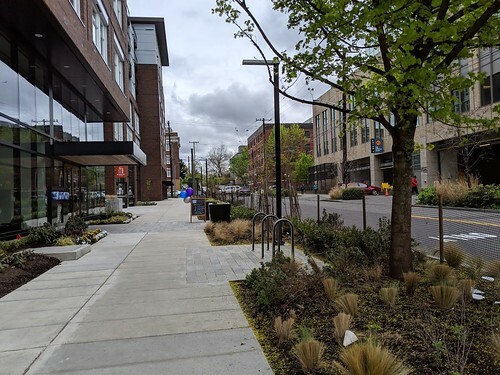 Moving your entire company from Northgate (Delta Dental) or Fremont (Impinj) to the City core, while mitigating commuting impacts is no small feat. Both women noted that engaging employees early in the decision-making process and leveraging support from key leadership helped reduce their drive-alone commutes to a fraction of their former rates. The CTR Program currently partners with 270 of Seattle’s largest employers citywide to work towards multimodal commuting solutions. Get your employer to participate! We launched a NEW TWITTER channel dedicated for real-time traffic alerts. It’s live now! Incidents and impacts in real-time. Updates on street maintenance issues like potholes, dark signals, debris, and more! News and helpful information from partnering transportation agencies (i.e. King County Metro transit updates). 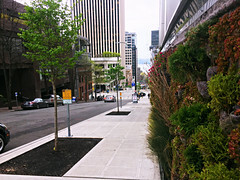 Check out our new SDOT Traffic Twitter channel! Follow us for breaking news, project updates, events, surveys, policy news, advisories, blogs, agency to agency news sharing, and more! Follow us for real-time traffic alerts, street maintenance, advisories, agency to agency traffic news, transit info, travel tips, answers to right-of-way questions, etc. Follow us for Seattle bridges news and updates. This is an automated account. If you need a response, tweet at us at @SDOTtraffic. Help us spread the word! Follow us to get the latest on all the City’s transportation information and news. If you’re already one of our thousands of followers, thanks so much! 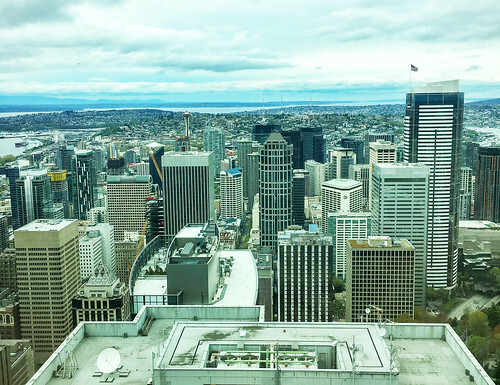 Between 2015 and 2016 Seattle’s population increased by 2.9% – from 684,451 to 704,352 people. That means we added nearly 20,000 new neighbors, making Seattle the fastest growing city in the U.S. The annual 2017 Seattle Traffic Report is a review of our core data sets including traffic volumes, speeds, and reported collisions that help our traffic engineers and planners evaluate changes and improvements to city streets. We’re making progress towards our Vision Zero goal to end traffic deaths and serious injuries on city streets by 2030. 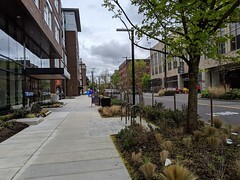 Recent Vision Zero safety corridor projects on 35th Ave SW, SW Roxbury St, and Rainier Ave have successfully eliminated fatal and serious injury crashes from the project limits and reduced all crashes by 2.6%. We’re successfully moving more people via transit and other options instead of driving. Transit ridership increased by 4.8%, the highest increase in the nation. Commute Seattle’s Mode Split Survey that found that 95% of new commute trips into downtown Seattle are being accommodated by transit and other modes versus driving alone. Adding more permanent bike counters to better track ridership year-round will help us collect more data on annual ridership numbers. 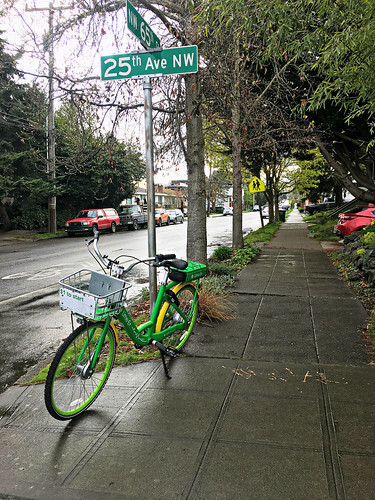 Bicycle volume measurements in Seattle are moving towards the same methodology as vehicle measurements. In King County’s urban roadways, WSDOT reports vehicle miles traveled in 2016 increased by 2%. Statewide, traffic volumes increased by 2.9% (58 to 59.7 billion miles traveled). Across the U.S., traffic volumes increased by 3.2% (3.1 to 3.2 trillion miles driven on U.S. roads). Fatalities declined by approximately 5% from 21 in 2015 to 20 in 2016, which is much better than the national and Washington state trends. National fatalities increased 5.6% from 35,485 to 37,461. Washington state fatalities increased 19.3% from 462 to 551. 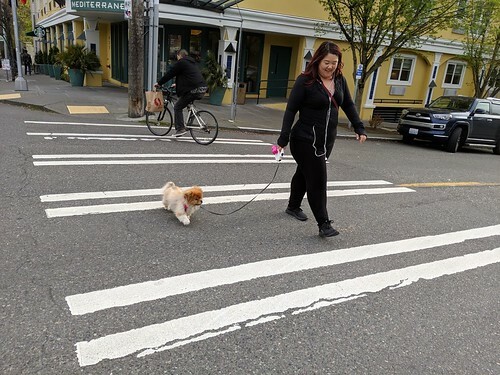 Seattle’s pedestrian fatalities decreased from 7 to 5. Nationally, pedestrian fatalities increased by 9%, its highest since in 1990. 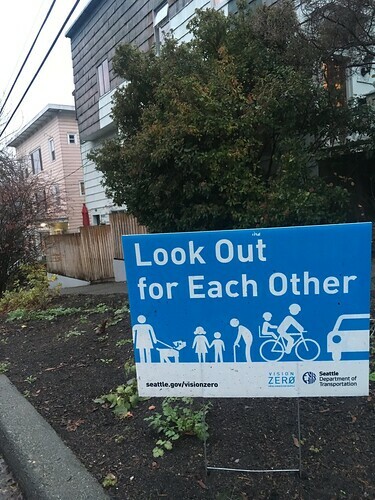 Seattle experienced 3 bicycle fatal collisions, up from 1 fatal collision in 2015. Serious bicycle injury and fatal collisions increased by 16.5% from 26 to 29. Bicycle fatality increased 1.3% nationally and is at its highest since 1991. 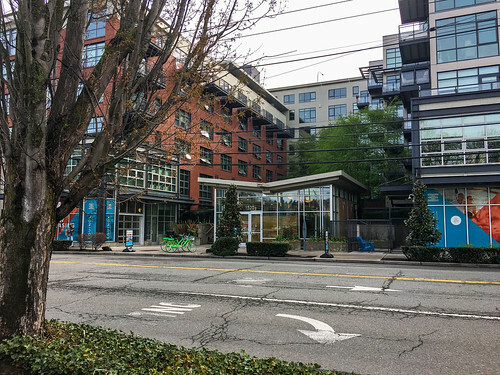 The 2nd Avenue protected bike lanes (PBL) experienced one non-injury collision in 2016. Serious injuries for all crashes increased by 19.6% from 143 to 171. The Traffic Report summarizes crash data and traffic statistics, so we can track trends from year to year, but behind each one of these data points is a person. That’s why our Vision Zero goal is so important – because one fatality is too many. Bicycle ridership declined by 2.6% partly due to our extremely wet weather from October through December when Seattle had 27 days of rain in October, 24 days in November, and 22 rain days, and 8 snow days in December. 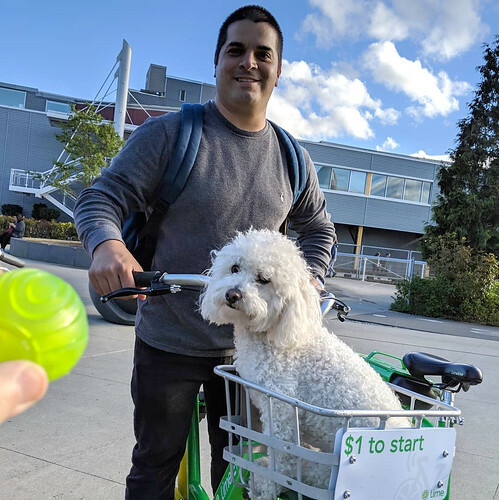 In addition, an evolving transportation system: Light rail opening at Husky Stadium likely shifted bicycle trips to that area instead over one of our permanent bicycle counters. Free floating bike share was not included in 2016 data. See the full 2017 Seattle Traffic Report. 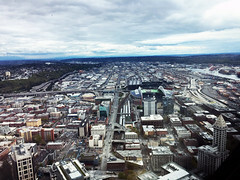 For decades, Seattle Center and KeyArena have been hosting major events and millions of visitors per year in our region. That’s why the prospect of continuing the tradition with a revitalized KeyArena is so exciting. There’s a big advantage to opening a remodeled KeyArena at Seattle Center: superior transportation options. Route 26X from Northeast Seattle. By bus, you can get from the Ballard neighborhood (Leary Way & NW Market Street) to KeyArena in 28 minutes or from West Seattle’s Alaska Junction to KeyArena in about 45 minutes. You can also get to KeyArena by Link light rail from downtown Westlake and transfer to the Monorail. The Monorail goes directly to Seattle Center and then a five-minute stroll through the ped-friendly park grounds to Key Arena. When the KeyArena opens in 2020, you’ll be able to seamlessly transfer from light rail to Monorail using your Orca card! 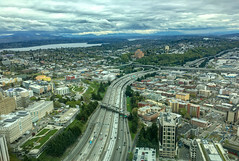 Link Light rail service, which currently serves South Sea-Tac’s Angle Lake to Seattle’s Husky Stadium, is set to expand its reach in 2021 (just a year after the revamped KeyArena opens). This will bring new light rail stations to U. District, Roosevelt, and Northgate – giving tens of thousands of N. Seattle residents improved access to KeyArena. In 2023, Link light rail service will expand again with a completely new light rail line to open in the Eastside suburbs, providing direct transit access to KeyArena for people in Bellevue and Redmond. All told, light rail will run 360 daily trips. By 2024, Link light rail will expand further north to Lynnwood and further south to Federal Way, creating more opportunities for access to Key Arena via downtown Seattle. It’s also worth noting that in 2035, two light rail stations will open near SLU and Seattle Center, which is just a few blocks from the Arena. Ultimately, leveraging all these existing transit investments around KeyArena—already a magnet for so many spots in our regional transportation network is a heads-up strategy for the future. 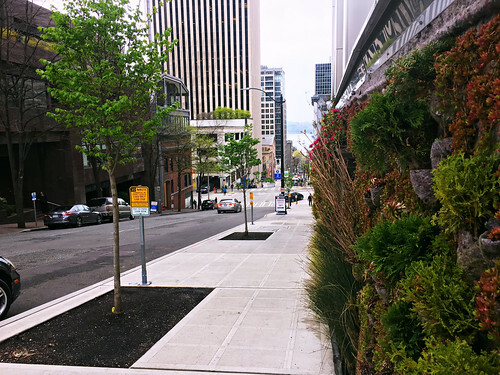 The City’s infrastructure investments around KeyArena is also pedestrian-focused. 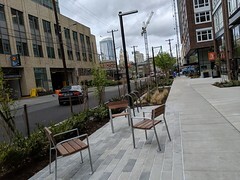 With the new Uptown neighborhood plan to create walkable connections through to Seattle Center, the new green street design on Thomas St., and the refurbished and reopened Denny Park, we’re creating a seamless public realm in the heart of our city. Given that KeyArena is located at the heart of this urban upgrade– next to some of our city’s densest neighborhoods like Uptown, Belltown, and SLU, thousands of neighbors will have the option of strolling to events on pedestrian-friendly routes, dispersing foot traffic before and after. This pro-pedestrian environment around the KeyArena is symbolic of another big plus about the Uptown location: Uptown is a hopping, mixed-use neighborhood that encourages visitors to “come early and stay late.” The crowds for KeyArena will have places to go and things to do beyond seeing their event, making the new arena just another part of the exciting Uptown business ecosystem. Mercer St. & Dexter Ave.
Driving to KeyArena is also an option. 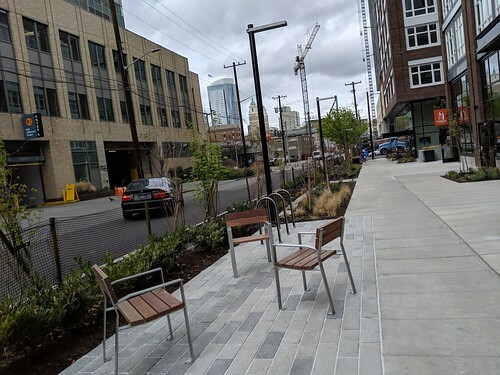 With 7,400 neighborhood parking spots, which has admittedly faced traffic challenges for big events, is also poised to be a reliable and practical option. With the brand-new smart-technology system on Mercer, we’ve successfully decreased the time drivers sit in traffic along the corridor. Soon there will be three new major east-west corridors there. Currently, Denny and Mercer are the only major through streets between I-5 and Seattle Center. But when the Viaduct comes down in 2019, three new arterials will open: Harrison, Thomas, and John. In addition to providing more capacity, five major east-west I-5 connections will help disperse traffic before and after KeyArena events. 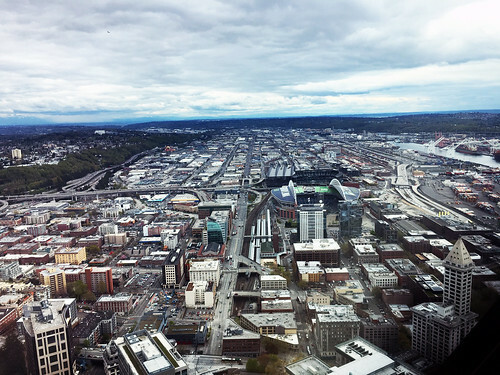 In sync with the active, surrounding downtown neighborhood—upgrading KeyArena will simultaneously serve and build on the existing infrastructure for residents and businesses. This is a hallmark of efficient city planning. 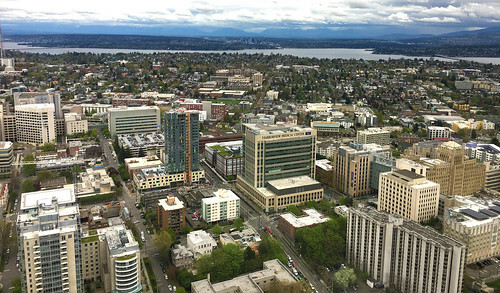 KeyArena is in the heart of the vibrant Uptown Arts & Cultural District that already entertains 12 million people every year. Up for a little friendly competition? We’re one week into Seattle’s Safest Driver, our 8-week app-based safe driving competition. So far, more than 1,900 people have downloaded the app! If you haven’t jumped in yet, download the Seattle’s Safest Driver app in the App Store or Google Play. You can compete for prizes every 2 weeks and the grand prize winner will get $2,000 cash money, thanks to our safe streets partners at PEMCO Insurance. And let’s not forget, thanks to the app’s leaderboard function, you can compete against your friends, family, and others for bragging rights. Are YOU Seattle’s safest driver? Up for a little friendly competition and safer streets? Well, we have something for you! (We’ll ease up on the used car salesman bit in a moment.) Today, we’re kicking off Seattle’s Safest Driver, a 2-month long app-based safe driving competition – complete with prizes, bragging rights, and better driving habits. Mmm hmm, there’s an app for that! Better behavior behind the wheel is key to achieving our Vision Zero goal of ending traffic deaths and serious injuries on city streets by 2030. The City of Boston ran a similar competition last year and saw the app’s most active users improve behavior, with a 35% reduction in speeding, and a 47% reduction in phone distraction. We know speeding and distraction are two of the top contributing factors to crashes, and behavior change is what we’re after, so these results are really inspiring. To develop the app, we’ve been working with Cambridge Mobile Telematics (the same team that worked with our Beantown counterparts), and we’re pretty confident Seattle-area drivers will do even better! Step 1: Get moving with the app. The app is free, and available for Android and iPhone. Once you download, it’ll start tracking your trips – by car, bike, and transit (ferry, too!). You get scored for trips when you’re behind the wheel. Get feedback and tips on how to improve, and earn achievement badges. Plus, prizes – more on those below. Residents of King, Pierce, Snohomish, and Kitsap counties can participate, but to be eligible for prizes, a portion of your trips must occur within the city of Seattle. Read all the fine print. Step 2: Challenge your friends, family, & coworkers. THEN. BEAT. THEM. Thanksgiving is just a few days away and it’s the perfect setting for a little safest driver throw down (in between discussions about football, politics, and the weather, obvi). Settle the age-old debate of who’s the better driver. Invite your friends and family to compete and see how you rank against each other in the leaderboards. While friendly competition is fun, traffic safety is no game. Through Safest Driver, we challenge ourselves and each other to make Seattle’s streets safer for everyone. Step 3: Compete for prizes! We realize it takes some carrots to incentivize good behavior. Thanks to our partnership with PEMCO Insurance – a company that shares our vision for safe streets – eligible participants can compete for nearly $15,000 in prizes, including a grand prize of $2,000. That’s some serious carrots cash. There will also be biweekly prizes throughout the 8-week competition, for a variety of categories: best driver, most improved, least distracted, most transit and bike trips, and some random drawings. Plus, the first 200 people to download the app get a $25 Amazon gift card. Seriously, thank you PEMCO. We’re excited and grateful for your partnership on this! So, what are you waiting for? Download. Drive better. Win. Get all the details at Seattle’s Safest Driver. SRT members clearing an incident on the Alaskan Way Viaduct. SRT stands for Seattle Response Team! When you think of “first responders,” you might think of Seattle Police or Seattle Fire Department (because, yup, it’s them! ), but did you know that SDOT has our own team of responders who help keep our city streets clear of incidents? That’s our Seattle Response Team! They’re part of what’s called the new Traffic Incident Management (TIM) Program – it means all our City teams are always ready to respond to traffic incidents and work in coordination with each other and other agencies to clear incidents as quickly, safely and efficiently as possible. Other members of our overall response team include our Transportation Operations Center (TOC) – they are the eyes and ears of SDOT and sometimes spot an incident before anyone else. The TOC coordinates with our Radio Dispatcher Office to make sure our SRT knows about traffic incidents so they can help clear them to keep people moving. And all this is in addition to the regular duties our responders perform on a daily basis as part of their everyday jobs! Our City responders and our SRT are here for you, 24/7! Yes, our SRT was there when this happened too. Recognizing and watching out for our City’s first responders is the whole point of National Traffic Incident Response Week this week, November 13 -19! They keep their eyes out for us, so this is a great reminder to keep an eye out for them! It’s National Traffic Incident Response Week November 13-19! What does this week mean for you and me? It’s a reminder that ALL travelers must slow down, move over, and allow emergency vehicles to pass when they see flashing lights ahead or behind them. The Federal Highway Administration (FHWA) declared November 13 – 19, Traffic Incident Response Week, to highlight the important work that first responders do and keeping them safe as they save lives. First responders are the people who respond to traffic incidents on our roadways and help to keep them clear. Seattle Police, Seattle Fire Department, and SDOT all have responders who are part of a highly-coordinated effort to ensure that traffic doesn’t jeopardize the safety of victims, other drivers, and first responders themselves. Allow emergency vehicles to pass so first responders like firefighters, Emergency Medical Technicians (EMTs), and police officers can get to the scene of an accident as quickly as they can. Traffic incidents are the number one cause of death of police officers and EMTs. For example, every year in the U.S., a tow truck operator is killed every 6 days. So, in addition to following the rules of the road by slowing down and pulling over to clear the way for first responders, there’s another simple, yet key rule to follow. If there are no injuries to the driver and the car is operable, the law — known as Steer It Clear It— requires you to move the vehicle off the roadway to a shoulder or parking area as soon as possible. Please take the time to honor first responders this week, but also recognize that we all have a role to play in keeping them safe. Yaaaay, one more hour of sleep! Daylight Saving ends this weekend (Sunday at 2 AM, to be precise). And while we gain an extra hour of sleep,👏 we pay for it with fewer hours of daylight.👎 On Monday, November 6, the sun will set at 4:43 PM and for some of you, it’ll be dark when you start your day and dark when you leave. So how bout’ that rain? IT’S COMING. Wait, wrong image…here we go. ✔ See and be seen. Please look out for each other, no matter how we’re getting around. If you’re bicycling or walking and need a light, let us know! We have lights you can attach to your bike, bag, wheelchair, stroller, or whatever you’d like. 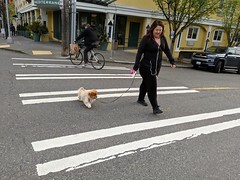 If you’re driving, pay close attention and keep an eye out for people crossing the street (remember, every intersection is a legal crossing, and it’s no fun to be waiting in the rain to cross). Put down your phone. You’ve probably heard, it’s against the law to drive with a handheld phone, or text while driving. Even if you’re stopped at a light. It’s a good idea to put your phone down while you cross the street too. Take a moment to make sure it’s safe to cross and make eye contact with drivers. This goes back to that see and be seen thing we were talking about. Speed is a critical factor for crashes. Follow posted speed limits. When visibility is lower (ahem, darkness and rain), it’s especially important to give yourself space and time to get where you’re going. Don’t rush it. These daily actions can really add up and help Seattle reach our Vision Zero goal of ending traffic deaths and serious injuries on city streets by 2030. One more tip! Please make sure you do your part and sweep up leaves off the sidewalk (as wet leaves can be slippery) and away from storm drains to prevent flooding. Did you know? During the month of November, you can set out up to 10 extra bags of leaves for pick up at no extra charge on your garbage collection day. Thanks for keeping our streets safe!